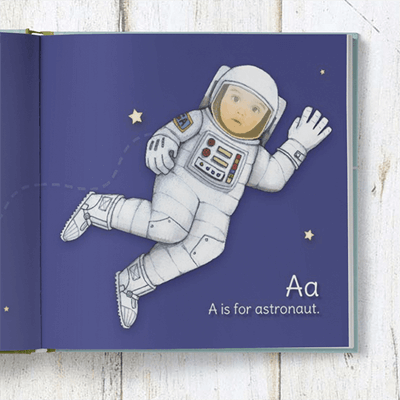 Rocket through outer space and dive into the ocean deep with your little explorer in our award-winning personalized alphabet book, ABCs with Me! 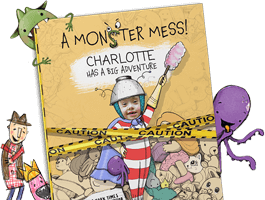 Discover letters, words and an adorably familiar face in this unique, customized alphabet storybook. 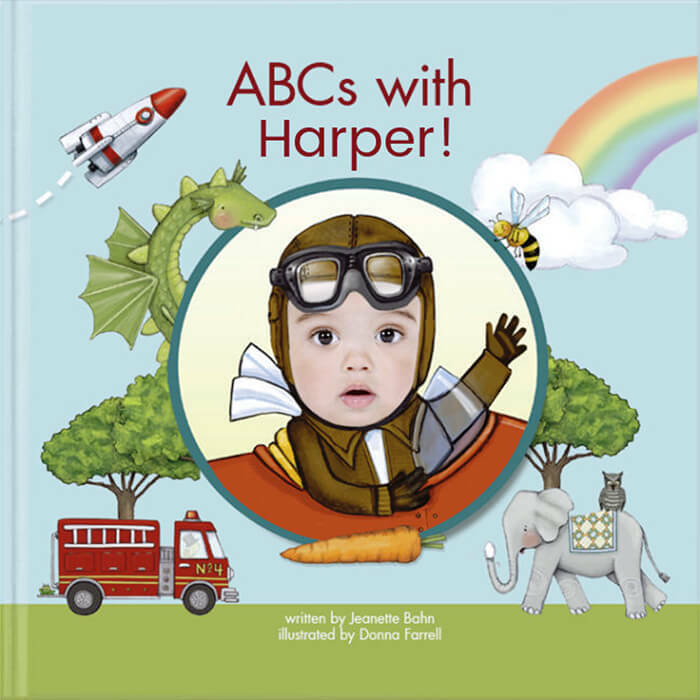 And long after mastering the ABCs, this personalized baby book will make a wonderful keepsake for your child. 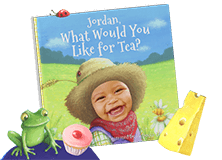 “My son received his book a couple days ago and absolutely LOVES it!! He has insisted on reading it at least three times every night before bed. He loves seeing his face throughout the book." 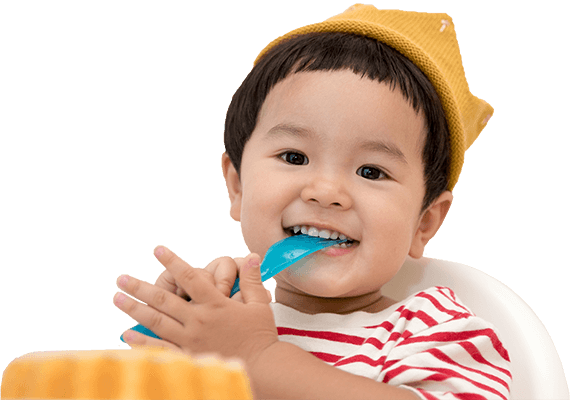 Your child will be tickled to see their photo appear twelve times and hear their name nine times throughout their very own personalized baby books. Tell them how much you love them with a free dedication. A totally unique, personalized baby shower, birthday, holiday, or "just because" gift that's fun and educational. 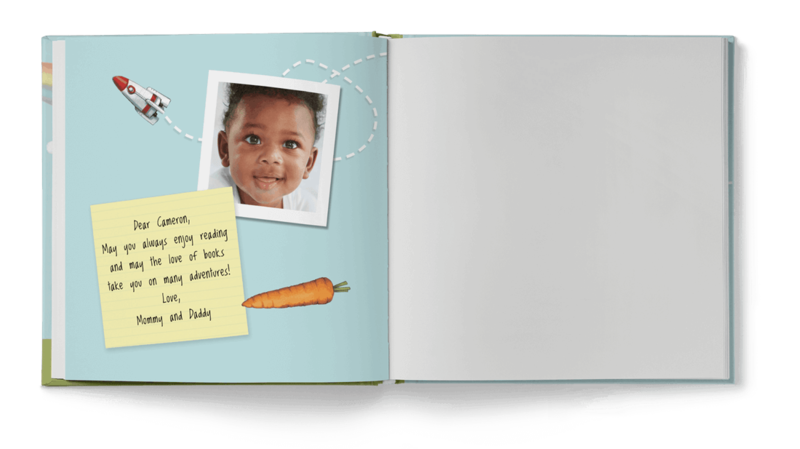 This personalized baby book is made of thick, acid-free, archival quality Mohawk paper to withstand little hands and the test of time. "That’s me! I’m in a book!" "My one year niece was so excited to see her face in a book and so were her parents!" 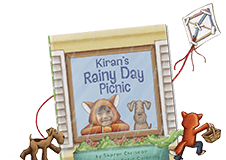 Give your child the gift of a unique, custom-made, personalized book - one that they'll truly treasure forever. 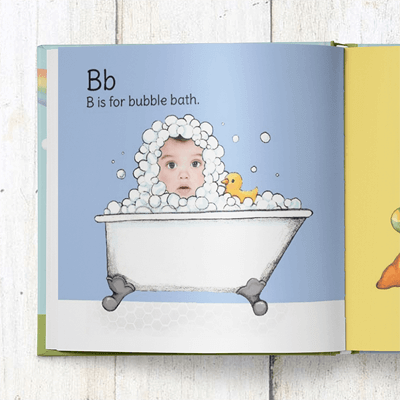 Our award-winning, bestselling personalized alphabet book, ABCs with Me!, stars your favorite little reader. 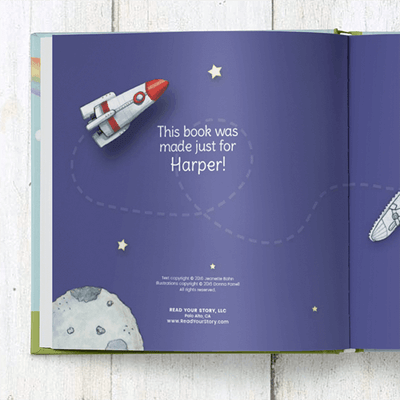 Your child will be blown away when they see their name and face throughout their very own book! They'll ask you, "how did I get in this book?!" They'll also love reading your personal dedication to them, which you can add for free! 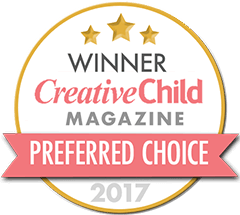 Selected as a Gold Recipient of the Mom's Choice Awards®, and printed on thick, acid-free, archival quality paper, this personalized baby book makes a wonderfully thoughtful and meaningful gift for birthdays, holidays and more. This keepsake will be one that your child hangs on to long after they have mastered the alphabet! 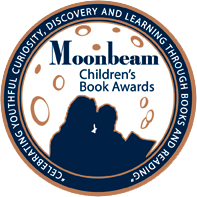 Help your child discover the magic of books and reading today. 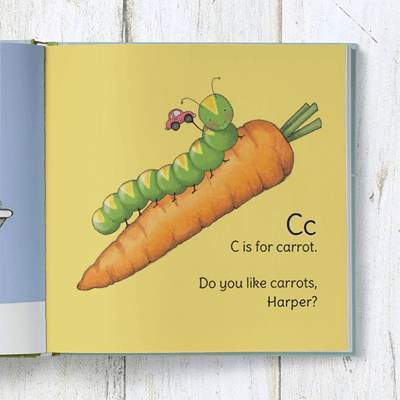 Build your personalized alphabet book in just a few clicks - all you need is a name and a photo!